With the 15 deliverables of our second year of VASCERN activities submitted to the European Commission on February 28th, 2019, VASCERN is now looking towards the future! Under the 5 year Framework Partnership Agreement (FPA) with the European Commission, VASCERN has signed the new Specific Grant Agreement (SGA) for Years 3-5 (March 2019 to February 2022) and the plan for the next three years of our operation, that started on March 1st, 2019, has been finalized. Under this SGA, VASCERN is co-funded for 3 years by the EU 3rd Health Programme a total of 600 000 euros, which is 60% of the total budget of our network coordination for the 3 next years. This funding enables us to finance Human Resources (coordination team), meetings (VASCERN 2-day annual seminars, our 5 Rare Disease Working Group annual additionnal face to face meetings, as well as projects such as eHealth tools (Mobile App), communication tools and translation. 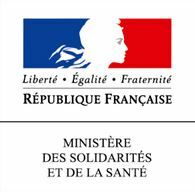 VASCERN is co-funded by the French Ministry of Health (Direction Générale de la Santé et de l’Offre de Soins) and the Coordinating Healthcare Provider (Assistance Publique-Hôpitaux de Paris, Hôpital Bichat-Claude Bernard). Goal 1: Realise the potential of European cooperation regarding highly specialised healthcare for patients and for healthcare systems by exploiting innovations in medical science and health technologies. Goal 2: Reinforce research, epidemiological surveillance like registries, and provide training for healthcare professionals. Goal 3: Encourage the development of quality and safety benchmarks and help develop and spread best practices within and outside the European Reference Network. Stay tuned to follow all of VASCERN’s Outputs this year!